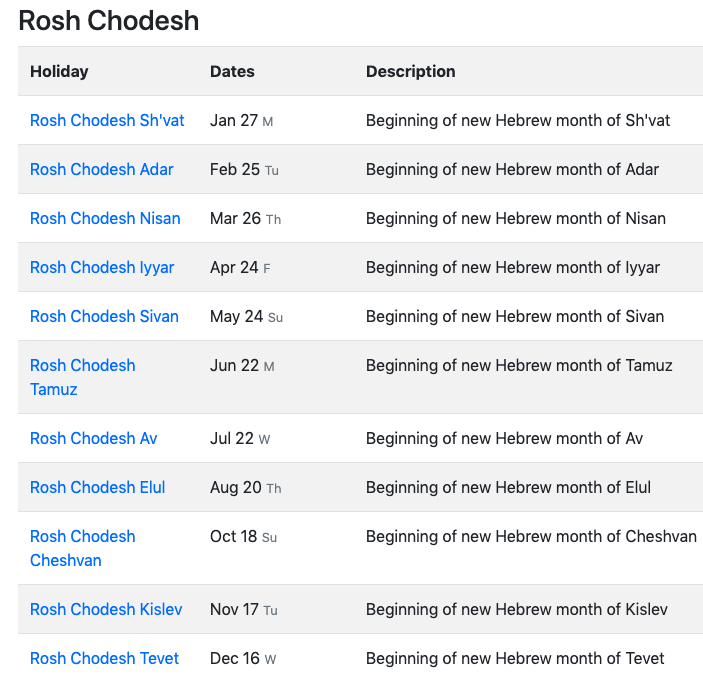 There are a list of holidays which are major and also a list of those which are minor as per the jewish calendar for the year of 2020. Coming to the calendar, it does give us the huge description on how the holidays are being set and how one is supposed to further modify it accordingly. On the 10th of the month of march, a holiday which is being named as the purim is being held and also is being celebrated as being observed in the calendar of the jewish people. Another such holiday which is being celebrated does fall on the 9th of the april and the name of such a holiday is the pesach. 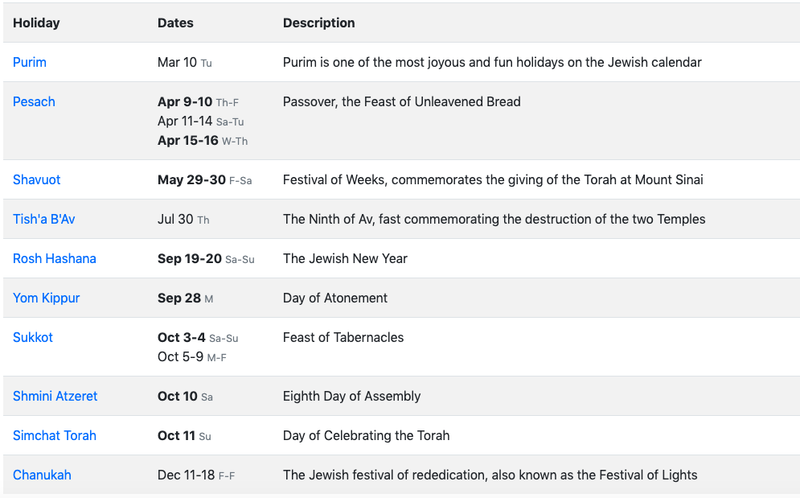 Starting from the 29th of the month of may till the 30th of the month of may, a holiday which is further named as the Shavuot holiday is basically celebrated by the jewish people as per their calendars. A holiday of the jewish people named as the tish b’v is being held on the 30th of the month of july which is hence observed keenly in the respective calendars of the year of 2020. The rosh hashanah is such a festival or a holiday which is marked very nicely in the calendars of the jewish so that the respective people can go for following such dates as being stated. On the 28th of the month of September as per the jewish calendar, there is this holiday named as the yom kippur which is being celebrated in a very grand style by the respective people who further do follow all these dates and holidays. On the 3rd and also on the 4th of the month of October there is a day which is the sukkot holiday as being said by the jewish calendar of 2020. Another further holiday is kept on the 10th of the month of October for the specific year of 2020, and the name of the holiday is shmini atzeret which is basically a day which is full of the feast of the specific tabernacles. Similarly on the 10th of the month of October, this day is basically kept so that people do remember that this day is the respective day which is eighth in number of the specific assembly. On the next day which is the 11th of the month of october, there is a day termed as the simchat torah which is mostly celebrated as a day which is meant to be celebrated as the torah. From the 11th of the month of December till the 18th of the month of December for the year of 2020, Chanukah is a holiday which is being kept as per the calendar is being further set. A ;list of minor holidays does include holidays like the tu bishvat which is on the 10th of the month of February. Also, a minor holiday which is the shushan purim which is on the 11th of the month of march and is being set by the jewish calendar in such a date and day. Also, a list of fasts are being there which are also followed up by the jewish people for their own good and betterment.